Mindless Behavior <3. . HD Wallpaper and background images in the মাইন্ডলেস বিহেভিয়র club. This মাইন্ডলেস বিহেভিয়র photo might contain উইকেট. 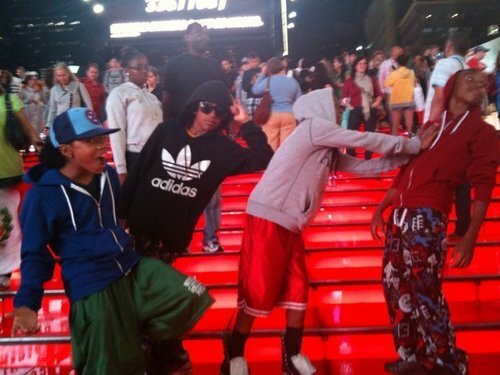 I don't know but ROC ROYAL looks Krazy! Princeton is so cute in dis pic and roc royal look like he screaming LOLz but really is rayray wearing ck boots!!?? cuz i got sum 2!! Why do they have on Pajamas ?? are they at a basket ball game? it looks like there are? Dang you bold prodigy but I love you!!! !